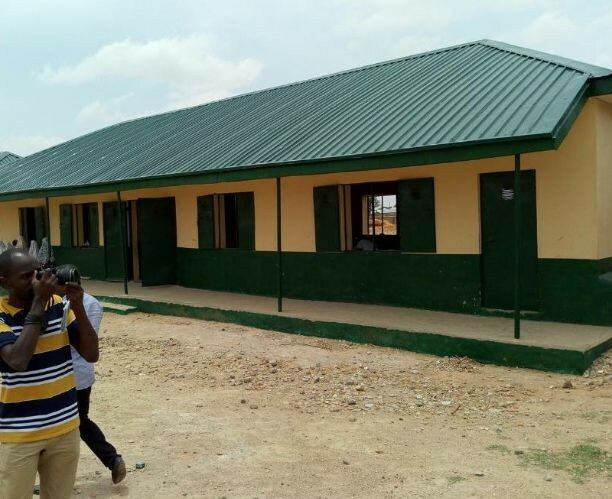 Testimonies of people of Soba, a Kaduna local government area located after Zaria town appeared pleasant to ears as regard revamping of an eye sore secondary school in the area by government of Nasir El-Rufai. According to the people here, before the emergence of Governor El-Rufai in Kaduna State, the condition of Government Girls Science Secondary School (GSSS) Soba was unheard of. The governor had in October 1st 2015 declared a state of emergency on the educational sector of the state. The process has however since revolving by way of massive rehabilitation and teachers dismissal and recruitment of better ones. “Honestly, I have no qualifying words to express how we feel about this intervention. As at the time we came, it was pathetic. “We have 90 percent work done in the hostel and that was a good one for us because it is sure it will reach 100 percent soon. He however appealed to the government to come up with other projects that are essential to the school. “In the area of water, our boreholes have brokedown. We also appeal for the fixing of our generator sets to improve learning. “We also want to appeal for fencing of the school through the back that collapsed as part of security measures to protect the school and its users. “We need science equipment. We received some from central store and we are putting them to use. You know, science is dynamic and things are evolving ,” he appealed.